I am guilty in not paying more attention to the galleries and have added this new page which features just four from my medium format collection. I am a devout film user both 35 mm and if there is one thing from this digital age it is that medium format equipment has become more affordable. I do of course have digital equipment which is convenient, but there is someway to go I go completely digital, I am still having too much fun with film. Medium format photography is such that it slows you down, not that this is anything bad but in today's fast paced environment it is pleasing to be able to wind down. 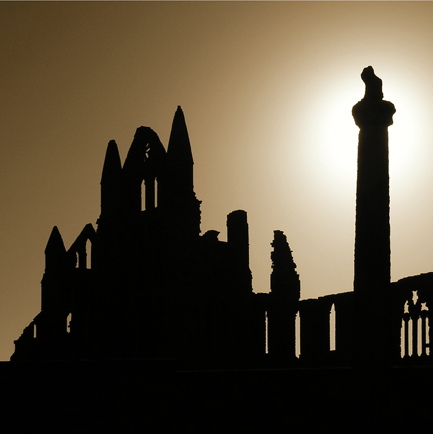 The abbey is without doubt one of Whitby's most prominent features and one of the most photogenic subjects. It can be captured in almost any conditions and makes for a pleasing subject. We are not always blessed with fine sunny weather and to be frank it would become tiring if we were. This last six month we have been treated to some arctic conditions and the snow helps create some wonderful moments. 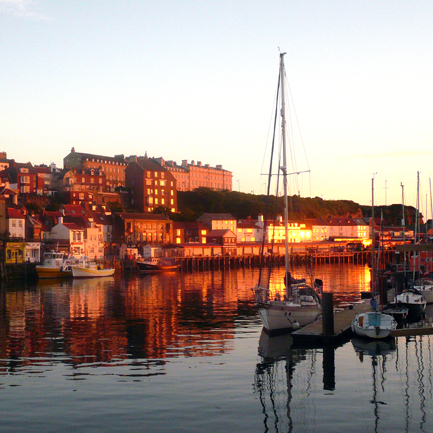 Whitby is blessed that when the sun is shining many wonderful opportunities exist. You don't have to go far to get truly amazing photographs. 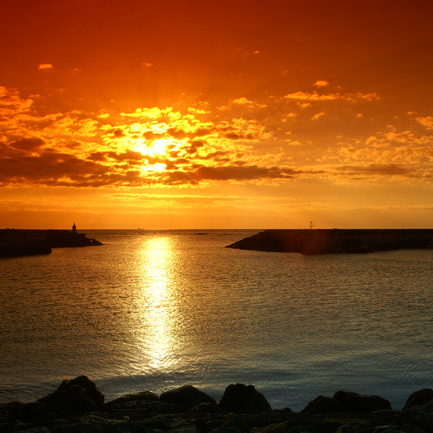 This is Staithes harbour lit by a warm sunny evening. I must confess to struggling with mornings but once in a while I do manage to get up and out and this image of the harbour was proof if any were needed that I ought to try harder. 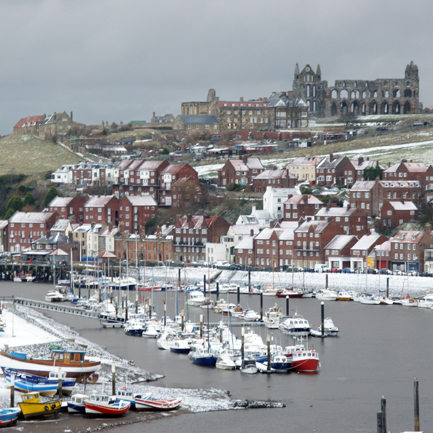 These four images serve to encourage you that Whitby has a lot to offer the photographer and with so many opportunities within an easy travel distance there is definitely something for everyone. I lack a true medium format scanner (some things remain elusive) and rely on a traditional flat plate scanner albeit it with an add on lid for film and transparency scanning.